The vulnerability was an authenticated, reflective cross-site scripting, or XSS, vuln. 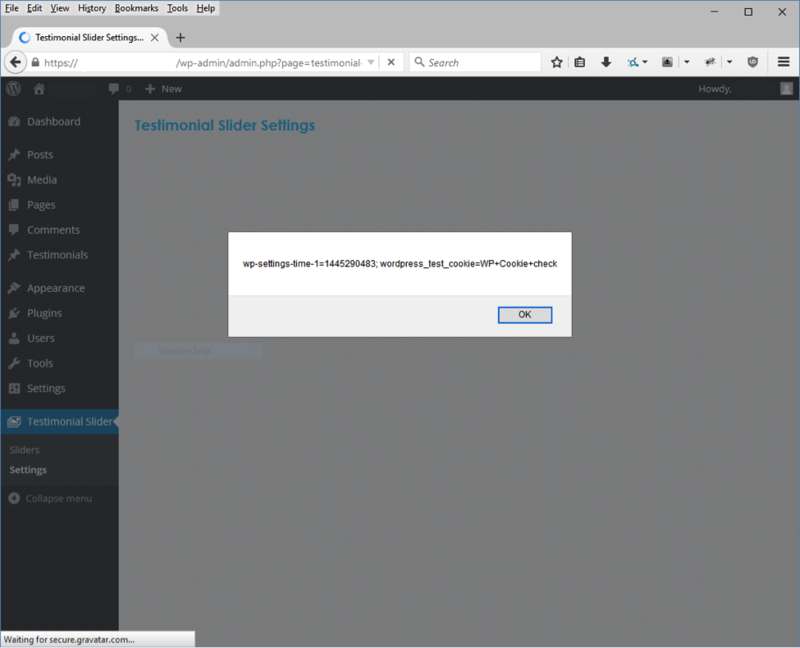 If you haven’t heard of XSS before, it is a vulnerability in a website or web application code, that allows bad actors to inject their own code into a web page. TrueCode pointed us to the possible vulnerability in Testimonial Slider’s settings.php file, specifically line 203, where an instance of a variable named $curr is located. In the image below, you can see that this variable is echoed out in the page’s source code. We backed through the code to find where $curr was set, which was in lines 195 and 196. It was set to ‘Default’ if another variable, $cntr, was empty. If the $cntr variable had been given a value, $curr is assigned the value of $cntr. We would like to thank SliderVilla.com for their responsiveness. As the Research Team grows and processes are developed, the team will have more time to analyze more WordPress plugins and eventually include plugins for other content management systems.